So you and your company (yes – even you one-[wo]man-armies out there) are brand new to the world of search engine optimization. Maybe your offline business has been suffering due to the economy or a myriad of other factors, however you are a warrior – a trooper – and you will not take no for an answer. You know that the internet is a gold mine, but you have trouble tapping into this unending fountain of visitors. You manage to convince yourself that an online game plan is required. Over the course of a few days, you feverishly search the internet for tools and software that can help your endeavors. While this is amusing to read about, it also carries a lot of truth behind it. Time and time again we see newcomers to the SEO community being flamed off the discussion boards for questions deemed misguided, misinformed, black hat, grey hat, upside down hat, you name it. If you haven’t seen this behavior – pay a visit to some of the more well known forums surrounding search engine optimization tips and techniques. The question begs though…. 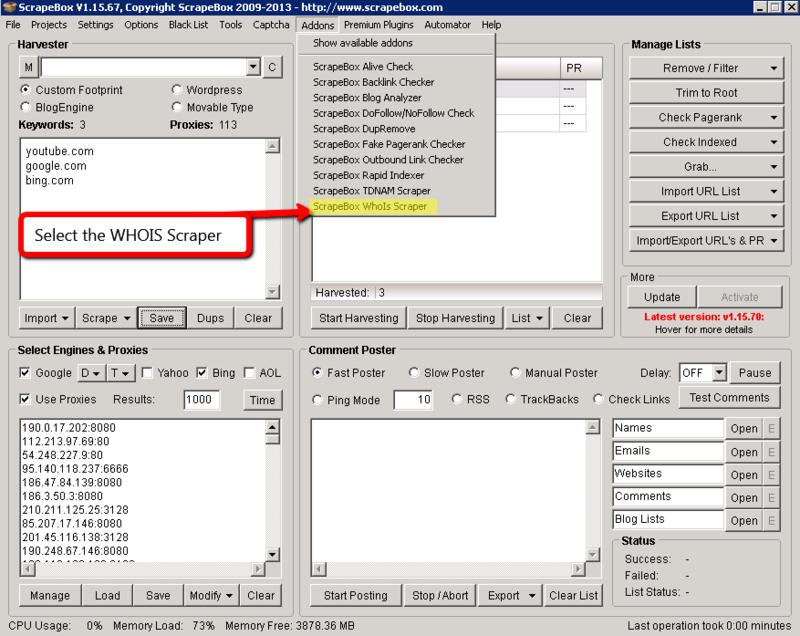 Is ScrapeBox A White Hat SEO Tool? While ScrapeBox has gotten a bad horrible reputation due to the unceasing amount of spam it has enabled to be carried out (alongside Xrumer), it has a fair amount of legitimate use that can greatly speed up your day to day workflow. Let’s take a look. For this example, let’s use the SEO industry. In the picture below, I started with 3 key-phrases. I entered these few key-phrases into the text area on the left and then clicked the “scrape” button along the bottom. It came back with a few hundred results. I then copy/pasted these new additions back into the main text area on the left and re-ran the “scrape” a second time. The final result brought back a ton of key-phrases, that are possible content ideas and niche markets to go after. During this time I stretched for the win. Now I don’t know about you, but having to search each one of these manually and then record the results into an excel spreadsheet would push my sanity level by a small margin. 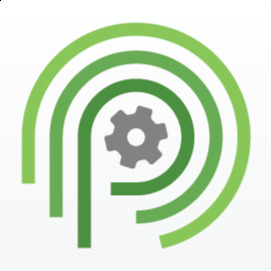 I prefer to have a solid foundation and workflow and then attempt to automate the tasks that can be automated. With ScrapeBox, you can too – let’s take a look. The very first task on your list should be to decide on your market’s topic. If you don’t know the main focus of your website, you should probably re-visit that BEFORE you start this step. Once you have your market focus down willy-nilly, it is now time to enter that focus into the software. This is how it’s done: There are a variety of tools out there that allow you to find potential link prospects. I won’t name the obvious ones because they are….. obviously obvious! The purpose of this post is to show the white-hat side of this software, because you must always try to find the good in everything going on, right? The only issue with using ScrapeBox as a means of finding people to form a relationship with is the fact that proxies will be needed. Like other software which tracks your rankings in the SERPs or goes out around the web to find potential prospects, SB can either be used with or without proxies. As you may be aware, automating requests to the search engines is not the best course of action and the last thing you want to happen is having your IP banned due to the large number of requests being sent out. You can specify settings to reduce the amount of “stuff” being done at any given time though. For this reason, a reliable proxy service will be the order of the day if you decide to go this route. I like to do some manual work and search out really high prospects on my own, however some people prefer the use of proxies for gathering large scale data. It really depends on the type of project you are doing and the amount of work involved and your standpoint on the issue (yes, some will argue that using proxy services is not white hat, while others will dismiss the fact of proxies being black hat as complete nonsense…. which type are you?). 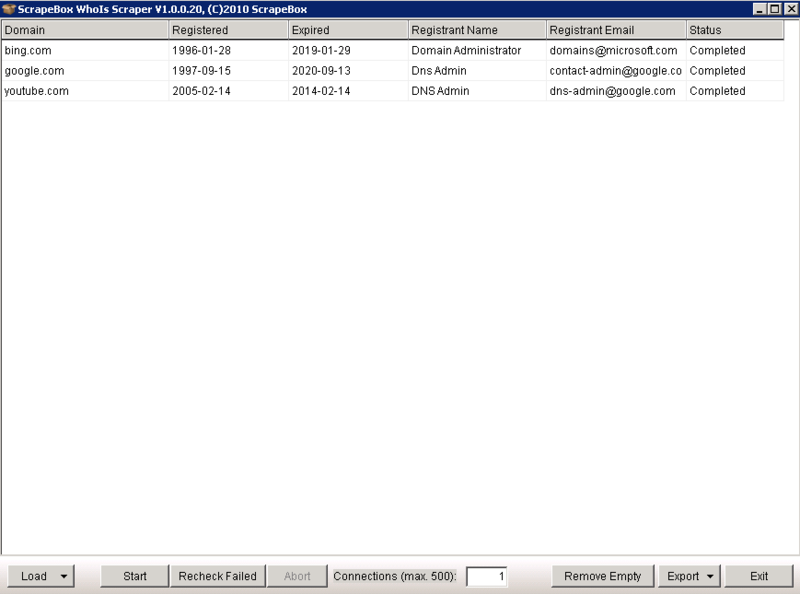 When you select the WHOIS option, you will be presented with a screen like the one below. 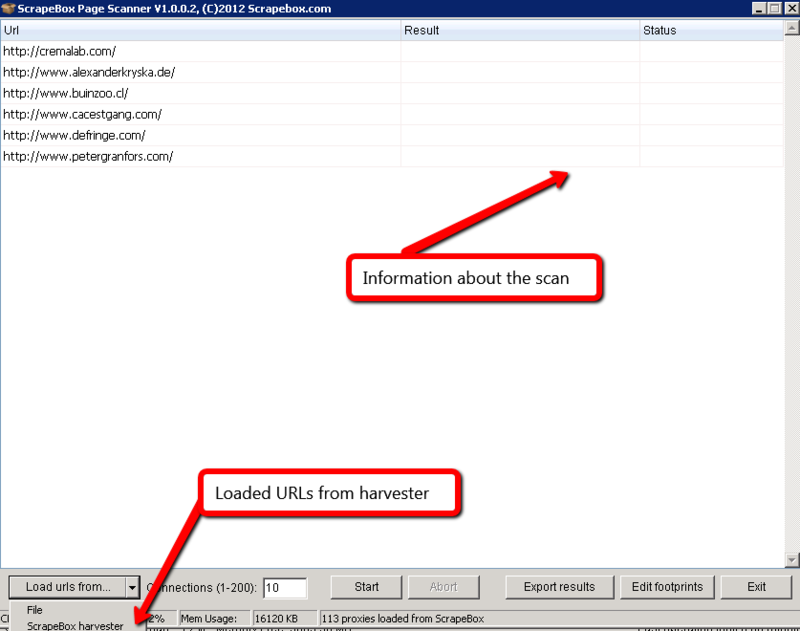 All you have to do at this point is click the “Load” button and then “Load from ScrapeBox harvester”. 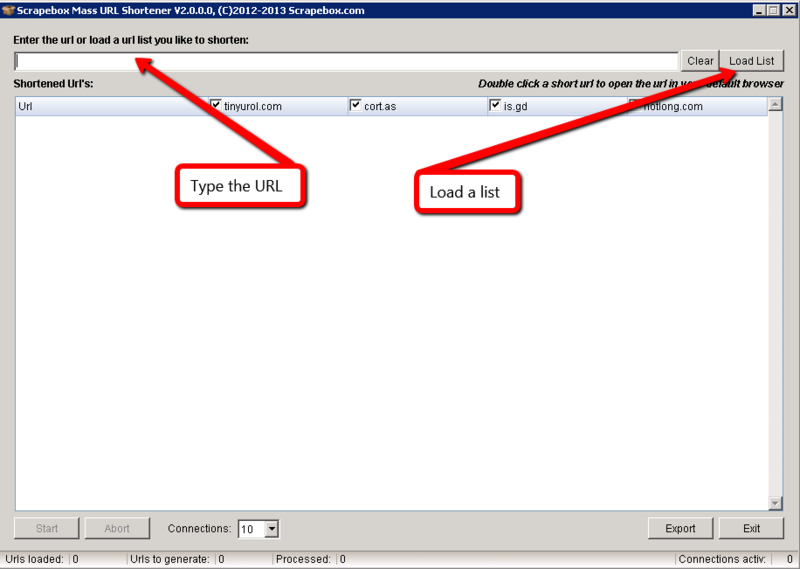 Once your URLs are loaded, it’s as simple as pressing “Start”. 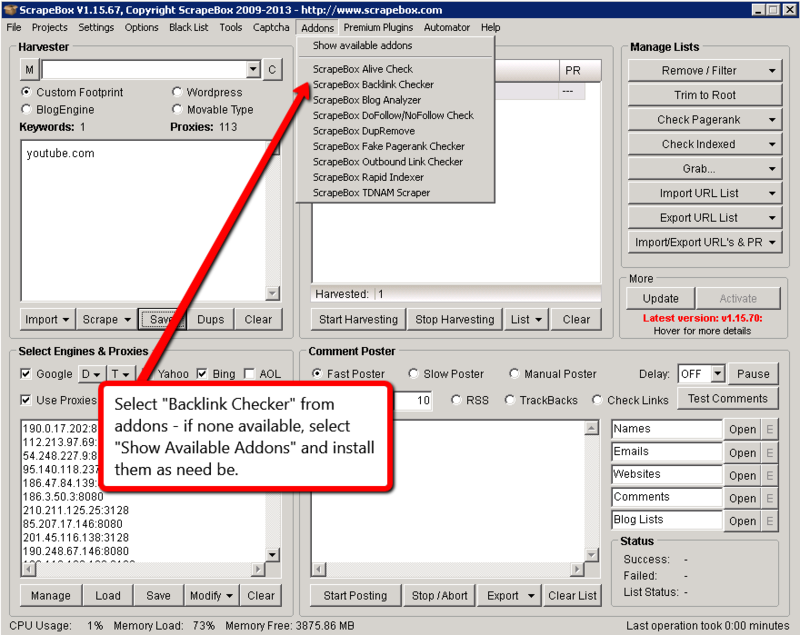 A word to note here: It is best if the proxies you are using for this addon module are of the SOCKS extension. A lot of the proxies you may use online are not SOCKS and you may run into some errors, so keep that in mind. As you may have noticed the information brought back is rather simple, however it can be really useful if you have a bunch of URLs to check at the same time. 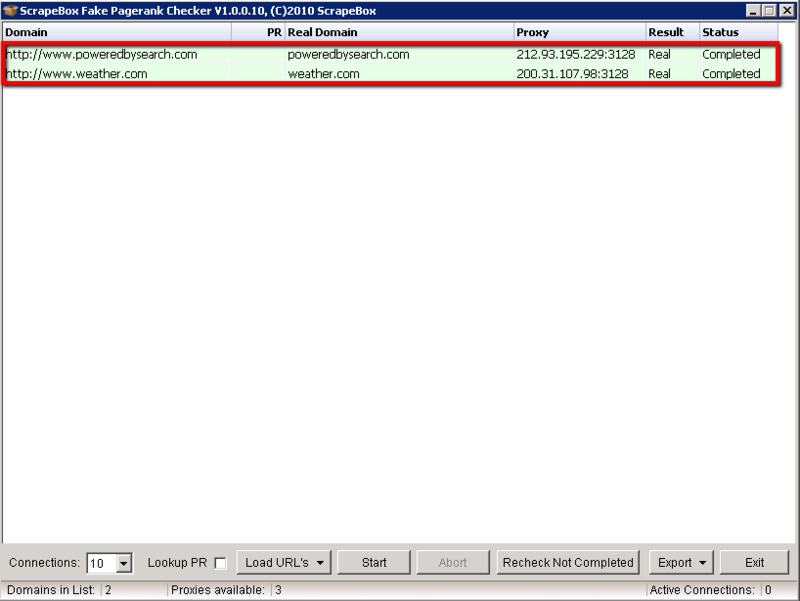 Have any of you ever had to check the WHOIS for multiple sites at one time and if so, why? 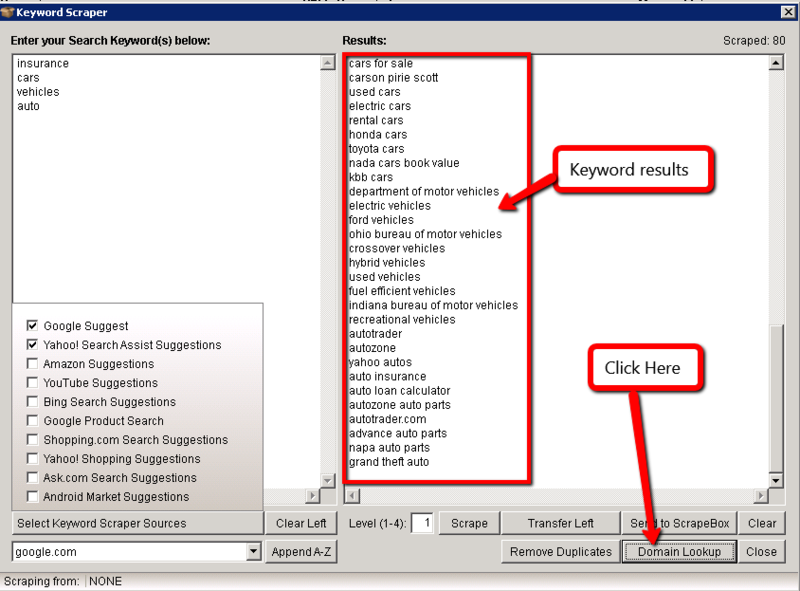 You enter your keyword in order to start the search (try to start broad and work your way down the narrower path). 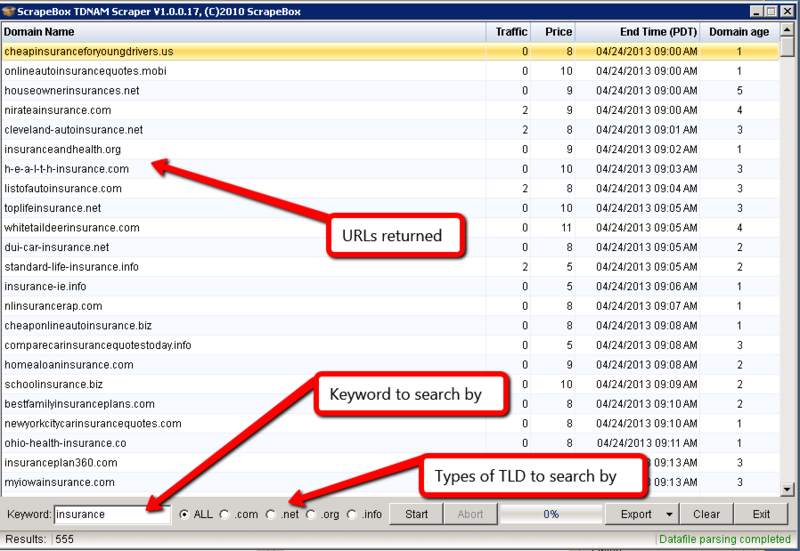 You select the type of TLD you want to find (top level domain). From here, you can right click on any of the listings and then proceed to GoDaddy’s website for more information. 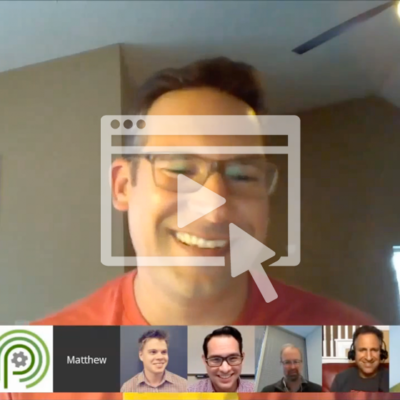 It’s great to get an overview of what is going on in the domain name market and you can get through a lot of data rather quickly. 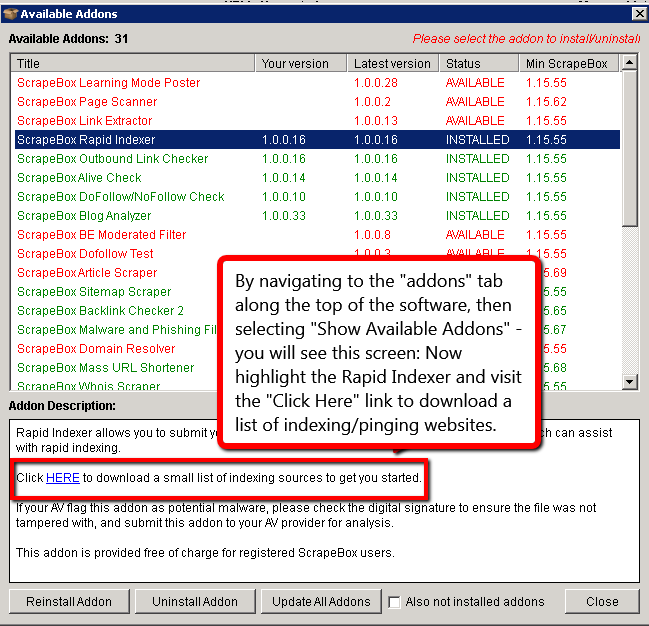 How many of you were aware that ScrapeBox can be used hand-in-hand with GoDaddy? 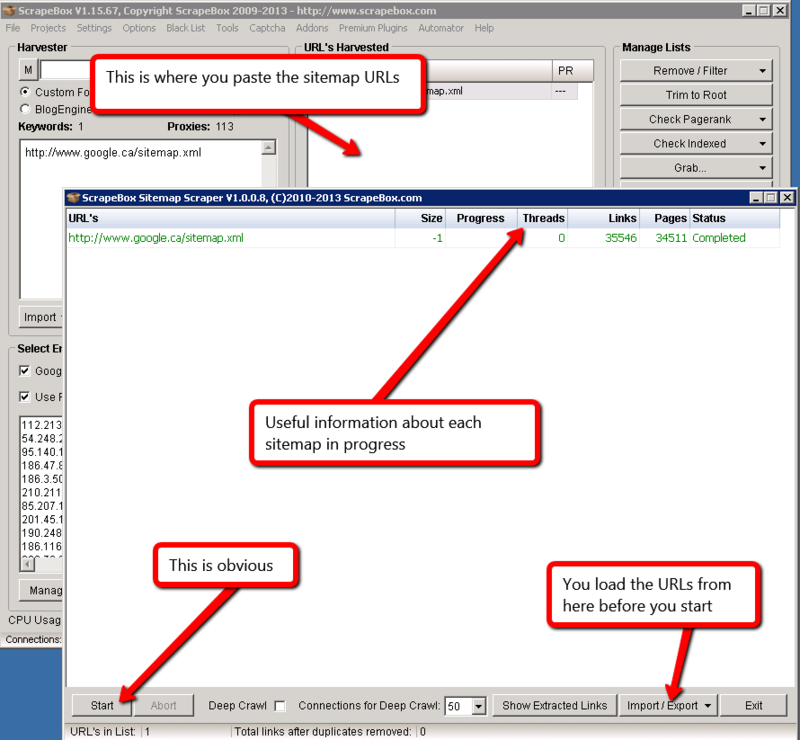 The sitemap scraper is a useful tool if you want to churn back the URLs from your website or from your competitors. As always, please install the addon from the available list of addons. 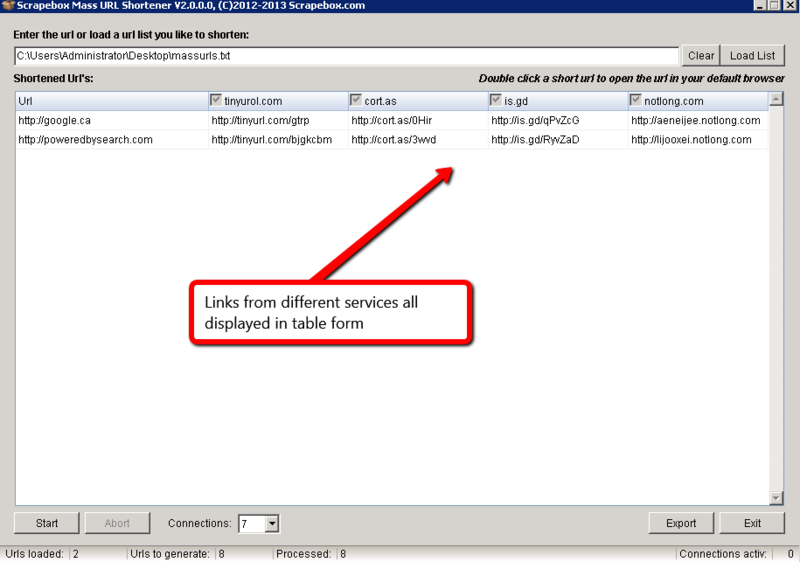 Now what this addon will do, is load a valid sitemap from a domain, and then scrape all the URLs out of that sitemap. It should also be noted that there are options for “Deep Crawl”. 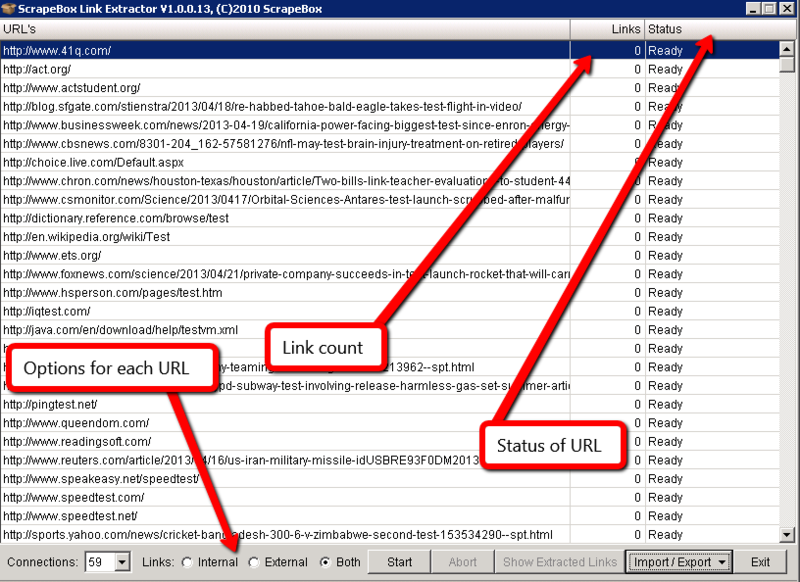 This allows the tool to go out to each link found and then also pull in more internal links from those originally found. Simple isn’t it? 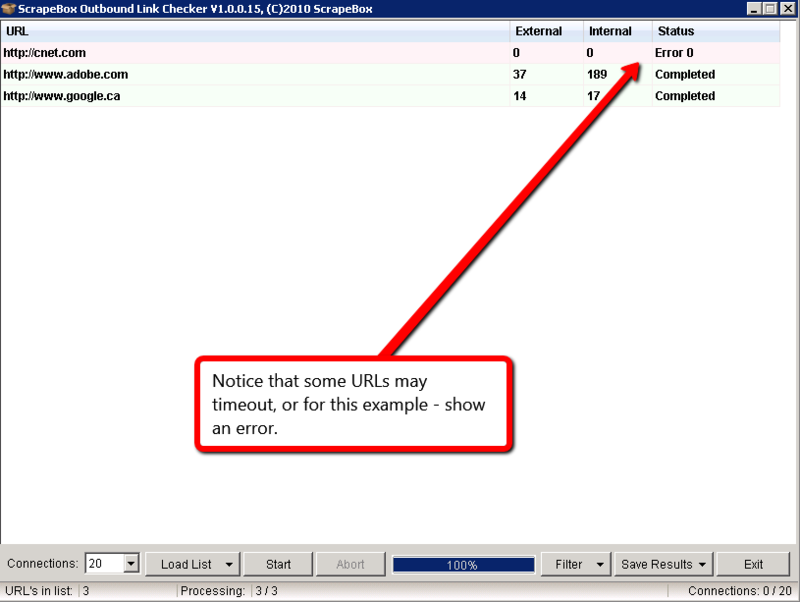 Just as you may have imagined, the outbound link checker is a useful addition to the software in that it allows you to quickly glance at the amount of links leaving a particular website. It also shows internal links as well. As always, please make sure that this module has been installed from the list of available addons (found along the top bar of the program’s interface). Once you have this addon installed, it’s time to get to work. For this example, I chose 3 random URLs and entered them into the text area on the left hand side. I then proceeded to copy those URLs over to the text harvester area on the right hand side. 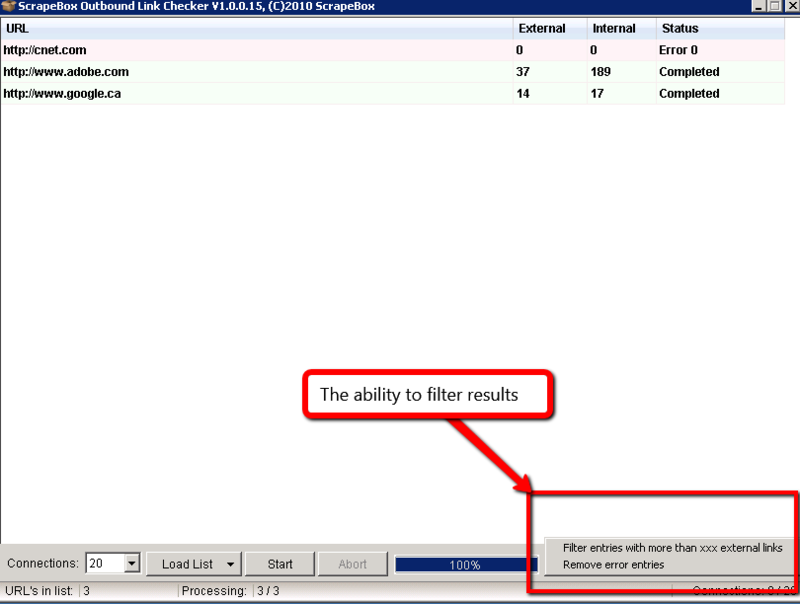 After this, I navigated up to the addon tab and selected the Outbound Link Checker option. As far as outbound links go, that’s about it for this addon! Like we have been doing (if you haven’t gotten the pattern by now), you must make sure that the addon is installed via the available addons selection, under the Addons tab. Either way, that is how you go about getting bulk URLs in tiny form – in no time at all! I hate love, you hate love, we all hate love, phishing bait! Who knew that malware could be your friend? With ScrapeBox, we can turn the most evil of evil’s into an inbound link opportunity by playing the Good Samaritan. Not all webmasters are the savvy types and many of them do not even use Google Webmaster Tools or for that matter, some don’t even check their website more than once every 3 months. As is the case with internet vulnerabilities, malware and other exploits make their way around the net like an out of control pest. Why not help out others who are less fortunate and inform them? You may just get a link out of the process because they will be so grateful. 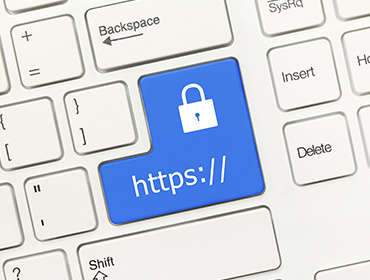 Here’s the hard part – you need to reach out to the webmaster and let them know that their site is hosting malware or some other exploit (do not visit the website as it may infect your computer). 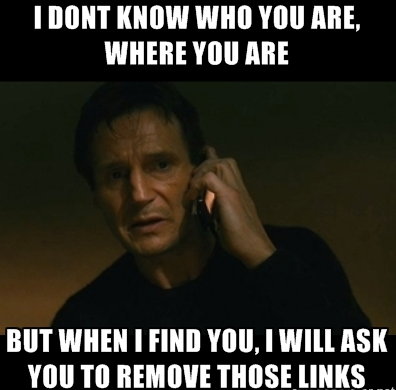 Do not ask for a link at this point – wait for them to get back to you and for the issue to be resolved. Once you have a dialogue with the owner, feel free to form a partnership somehow. There is no set guideline on how to use this for a backlink opportunity. You have to be creative here as it will be different for every industry you are in. Browse to the Rapid Indexer and highlight it. Download the list from the description section. Once you have this accomplished (within a minute), you will now want to load up the actual addon itself. As always, make sure it is installed first! 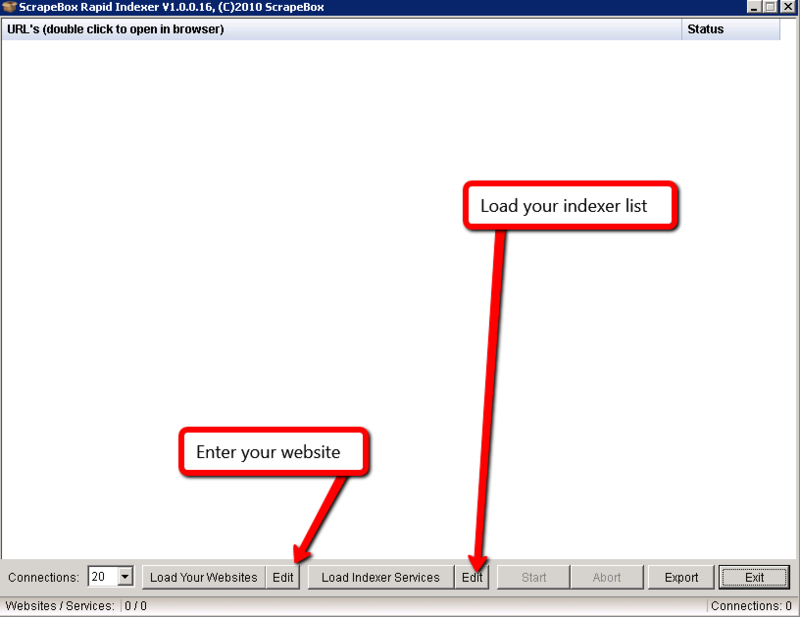 On the addon screen, you have the option of loading up a bunch of URLs you own, alonside the list of indexer services. Note that the limit is roughly around 1,000,000 – yes that is 1 million total. 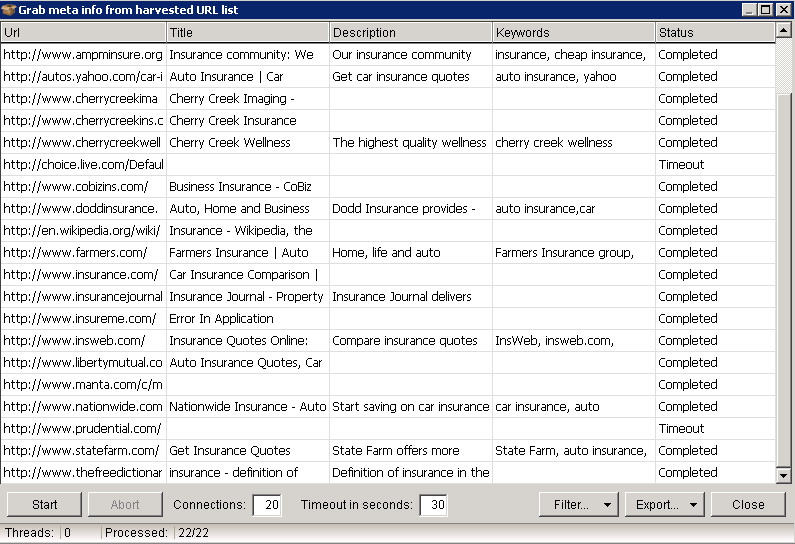 So if you have 100,000 indexer sites and 10 URLs that you own…. well you do the math. Personally though, the average for any normal white-hat webmaster is just a small select few URLs that they own, mostly one or two – along with a few hundred indexer sites – still though, a G+ is an awesome way to get the job done as well. There is also the option to export the list. This isn’t really needed for your own personal use, unless you were planning to do some reporting on the matter. This is a neat feature that many may not be aware of. As with everything else, the power of ScrapeBox is in the addons. Like usual, install it and once that is ready – launch it! 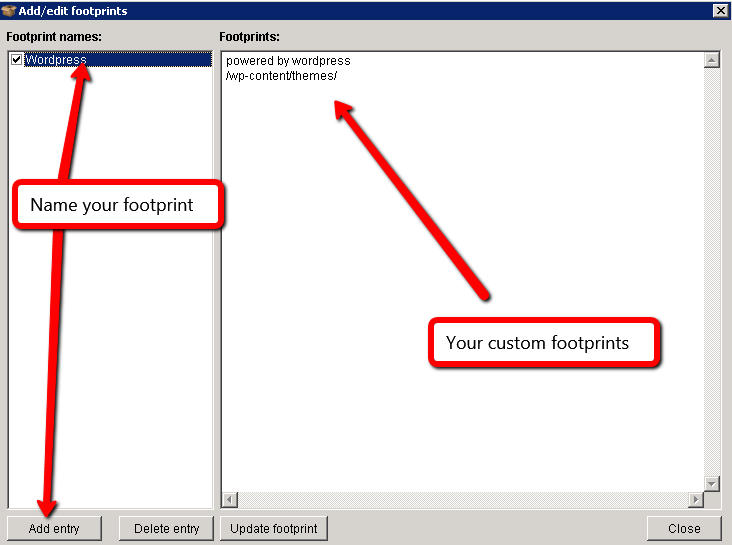 Now, what the page scanner does – is that it lets you analyze the HTML source code of a particular URL and then categorize that URL based off of your own custom footprints…. very cool. Think of the possibilities here… Let’s dig deeper. Below you see a screenshot of the addon window. 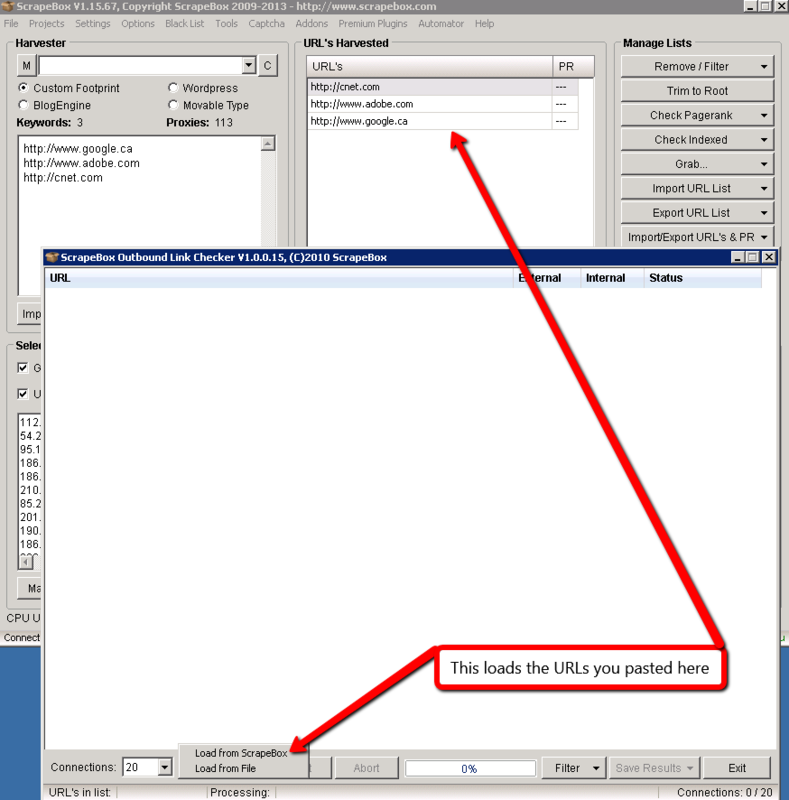 The very first thing you want to do is import your list of URLs to scan. For this example, I will use a well known WordPress blog (added through the “Load urls from” button above). With that all setup, you are now ready to begin and start categorizing your websites. Think really hard about how you could use this to your advantage…..
For the “xxxx-th” time: again if you don’t have this addon installed, you will want to hover over the addons tab along the top bar of the software, and then select “show available addons” – followed by installing the Link Extractor module. Once your reporting is complete, you can then export the results as you see fit. Duplicates are removed automatically which is really nice. What you do with this list is where the real power is. Everyone wants to find out what their competition is doing…………..RIGHT?? Of course I’m right. You have the ability to do some competitor research with ScrapeBox. It’s by no means a be-all-end-all kind of research, but it IS there so you might as well take a look at it. 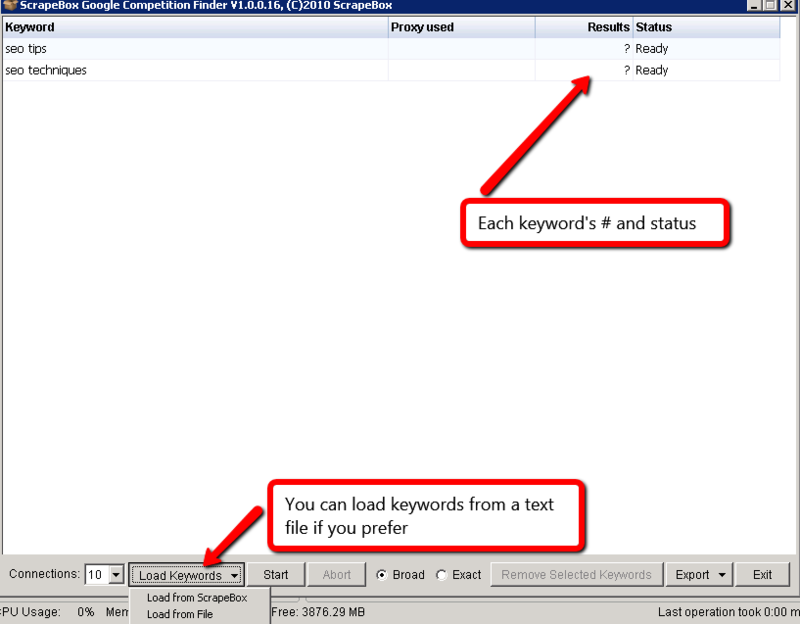 With the results finished, you will have a list of the results returned for every keyword. Do other tools do this job? Yes they do. Now you have another option should one of your tools no longer work. Everyone likes to know when their pages were last cached in Google’s database right? All repeat after me….. YEEESSSS. Ok great! 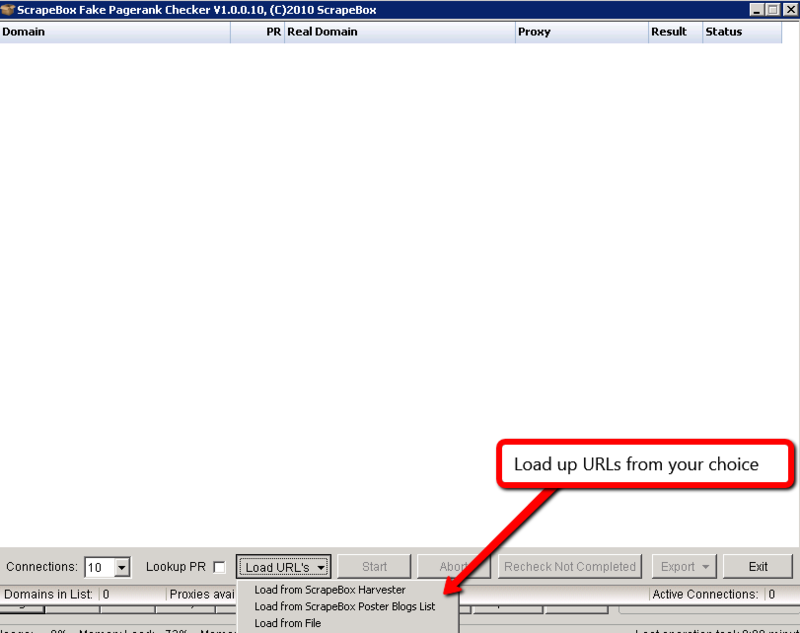 So how would like it if you knew when all of your pages were last cached? You could export the results and save them into an Excel spreadsheet (or OpenOffice) – and sort the data to see which pages on your site were having issues being cached lately? …. your reporting options are great! With this data available, you are now able to focus on the parts of your website that seem to be slow in getting regularly cached. When considering the fact that your outreach campaigns take a lot of time to manage – and that the value/message of your contact with random website owners has to be right on target, the last thing you need happening is to get burned on the fact that the pagerank of “said” site is a fake. Granted I could really care less about PR in today’s SEO market (compared with 2003) – however it is still a general rule of thumb for a website’s showing in the industry. I personally use other metrics for judging a site’s worth, but PR still has to be considered into the mix for complete-ness sake. The good news is that both Powered By Search and The Weather Network are who they say they are – isn’t this beautiful? 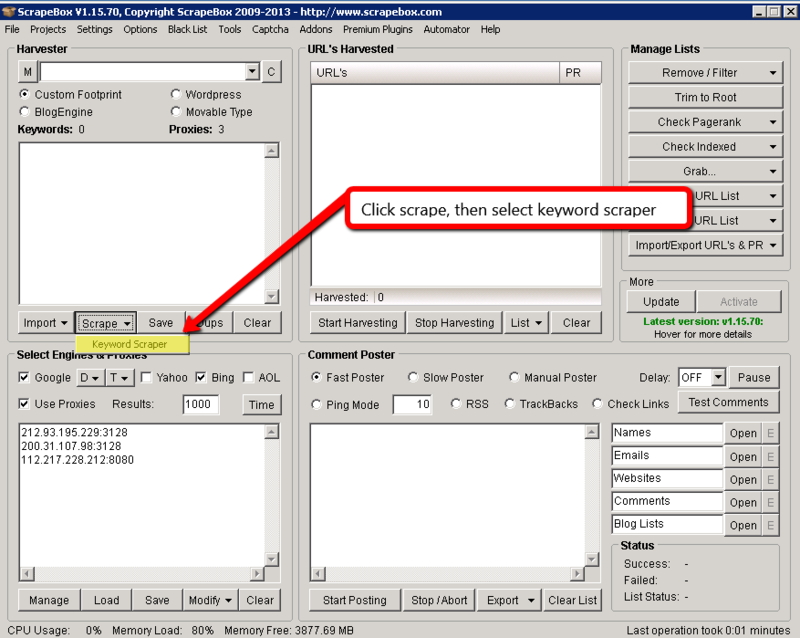 So the next time you need to check if the Pagerank is being faked, spoofed, goofed, or what not – you can fire up bulk checking abilities through ScrapeBox. I don’t think there is a single ethical person out there in our world who likes duplicate content – emphasis on honest/ethical. 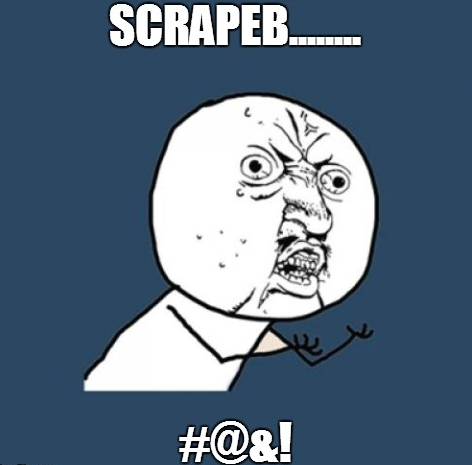 Have no fear, ScrapeBox is here! …. and here you thought that this tool was meant for spamming duplicate garbage – no-no my white-hat friend, this tool is just the opposite of that. Want to know how? Read on! The first plan of action is of course to sit down and think about how you would use this addon. What do you normally undertake throughout your working day, that involves removing or stripping duplicate “stuff” – so you are left with simply original materials? Ask yourself this question and think about it. Tools do absolutely nothing unless they are used properly and in the right context. 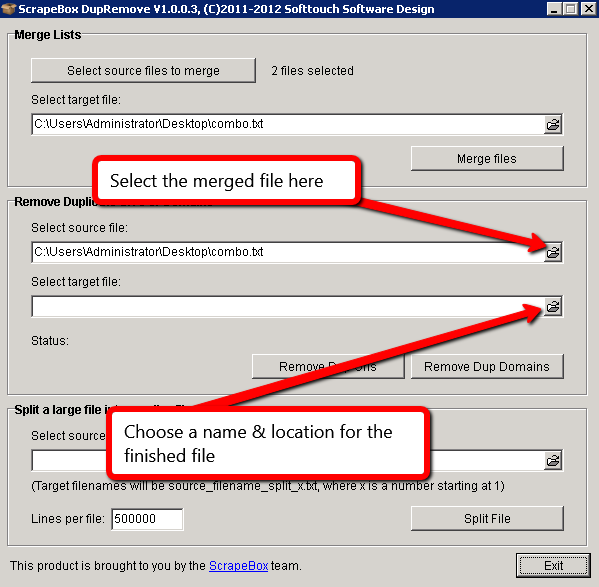 First, you will want to select the sources of files to merge. In order to make this work as it should, the tool requires that the data all be in one location to begin with. In our example case, I am using two text files. 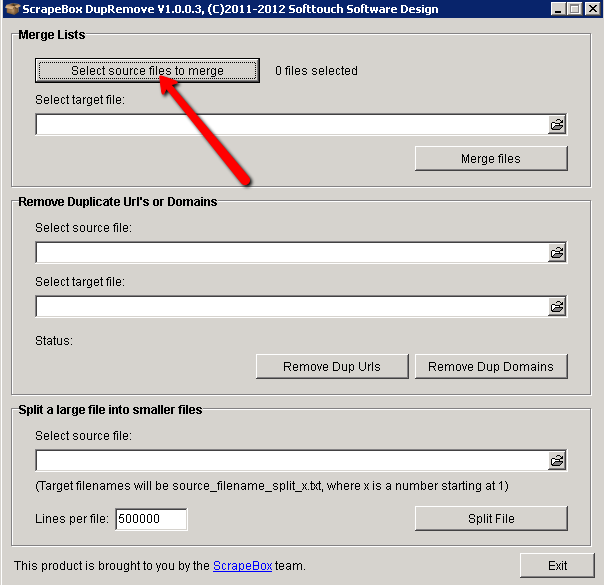 When you click the button for the source location (for the final file) – it will ask you what you want to call it & where to save it. 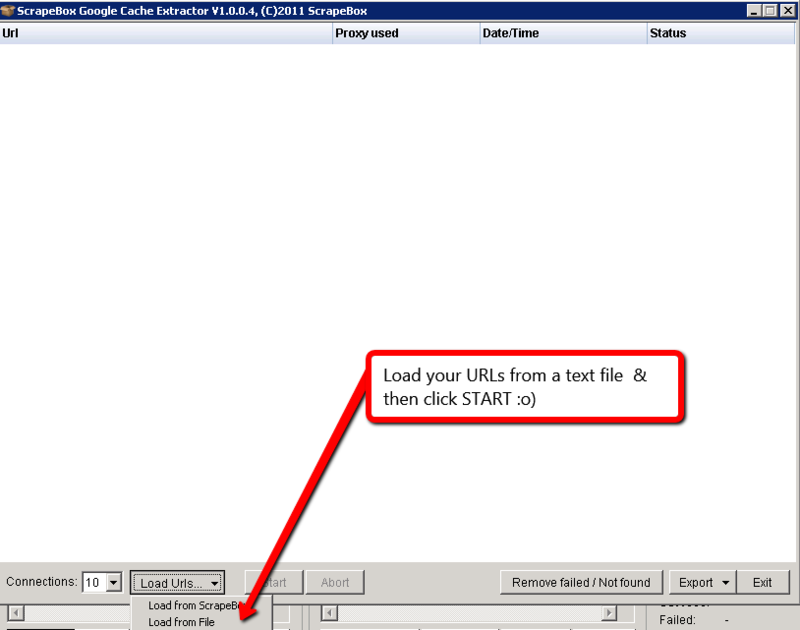 Here’s a handy tip to note – you are not limited to just URLs, you can prune email addresses, etc… oh the possibilities! 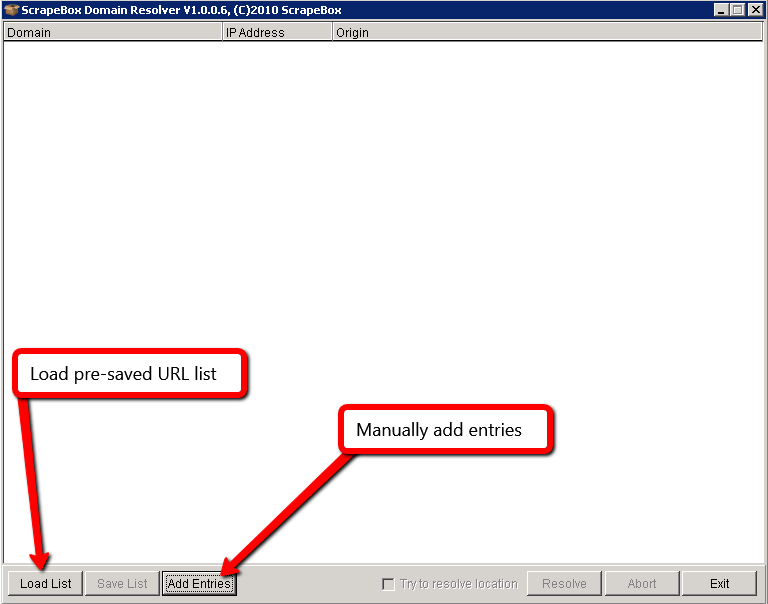 The domain name lookup feature is very useful and it is much easier than typing one name after another into GoDaddy’s URL finder (for 40 minutes) – because we all know that every domain we ever think of has already been registered. Reminds me of the time I literally typed a bunch of random letters into an email registration form on GMAIL and it told me that it had already been taken…. 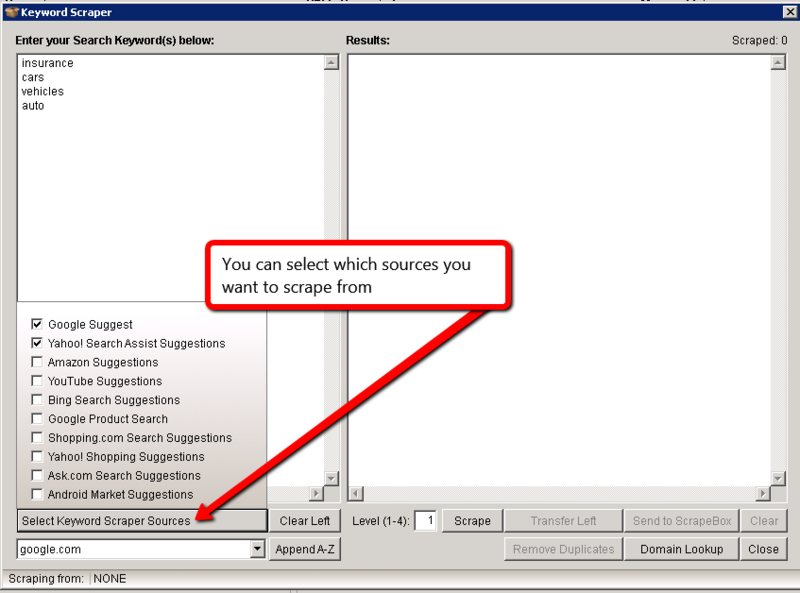 Unlike other sections in this guide – the domain checker is INSIDE the keyword scraper and is not accessed via the addons tab. Of course there had to be one trap in all of this! As you can see, it really is straightforward. Of course, exact match domains are not worth your time nor is squatting domains, but this is a great way to check a list of ideas very quickly without spending a heap of time typing in one thought after another. Time saved is time earned is it not? Are you a data junkie? How much do you love looking at page titles, descriptions, and even keywords? If this sounds like something that makes you excited – keep your pants on because ScrapeBox can handle that as well. The way this works is very straightforward. 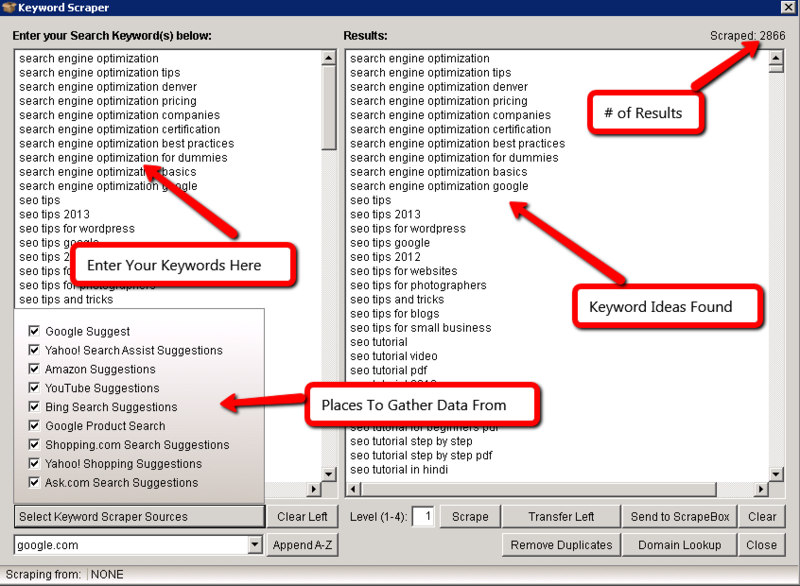 The first thing you do is plug in a keyword to harvest your URLs from. 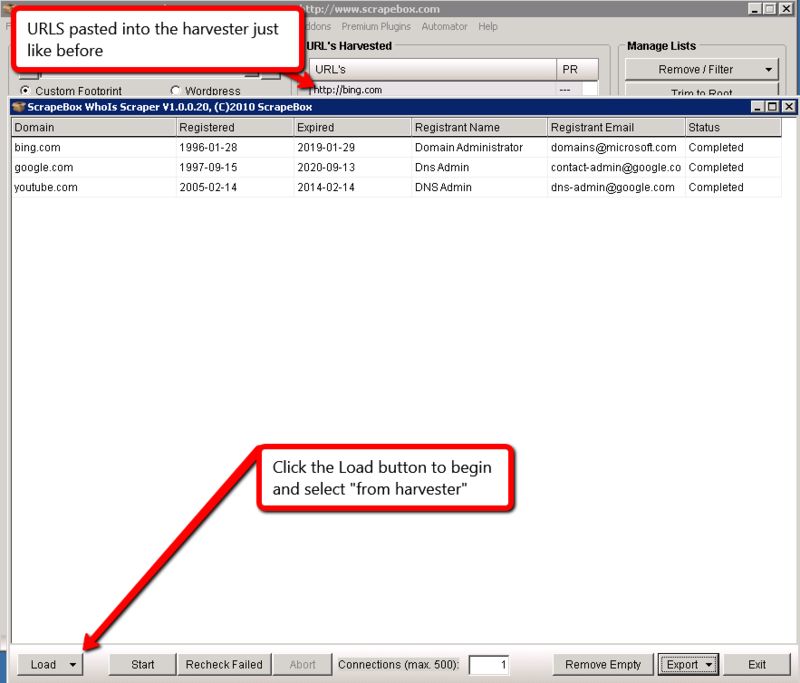 After your URLs are harvested, you then hover your mouse over the “Grab” tab on the right hand side – and select the “meta info from harvested URL list”. Not very intimidating is it? Can you guess what the next stay may be? If you guessed pressing the start button – you would be a genius! For completeness sake, here is what your screen should look like once things are rolling. Last but certainly not least is the ability to check domains for their IP and country of origin, otherwise known as domain resolving or IP resolving. While this probably would not be used daily, it is still a handy feature to have available. 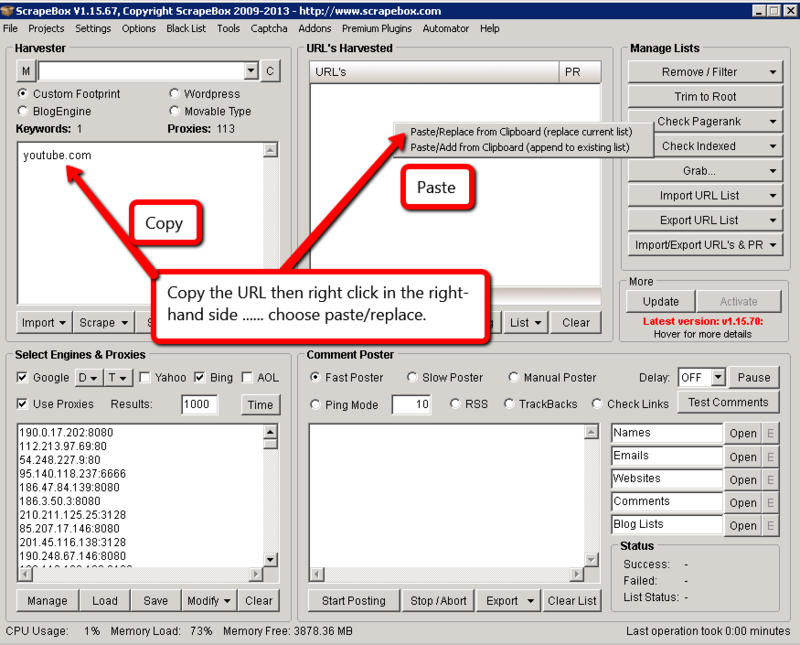 The first step in this process is to fire up the proper addon by heading to the addons tab at the top of the tool – then selecting Domain Resolver. If the addon is not showing up, you need to install it from the list of available addons. As you can see from the screenshot below, you have the ability to either load a pre-saved list of URLs or you can manually enter in domains by clicking “Add Entries”. That is how you resolve IPs and that is how you use ScrapeBox! While there are more uses for Scrapebox, this list is a pretty good summary of all the good you can do with the tool. As with anything in life, it can be used for both good and bad. 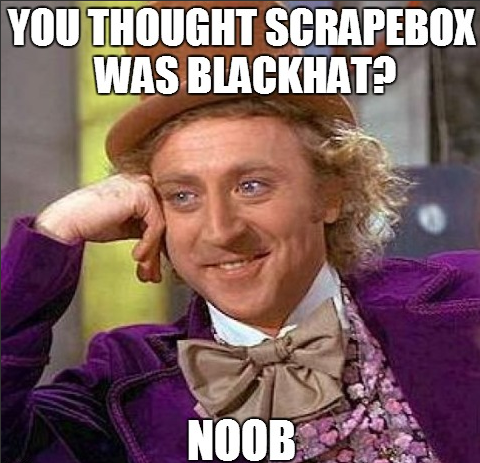 So the next time someone tells you that ScrapeBox is nothing but a black hat tool – you can refer them to this post for the win. I’d love to hear your feedback on this. Do you see yourself using this tool for any of your daily SEO tasks or have you used it in the past for any of the techniques mentioned here? If so – what was the reason you chose to use ScrapeBox over other sets of tools? Need more help with Scrapebox? Still not sure how to grow your business with SEO? Learn more by booking a free 25 minute marketing assessment with us.